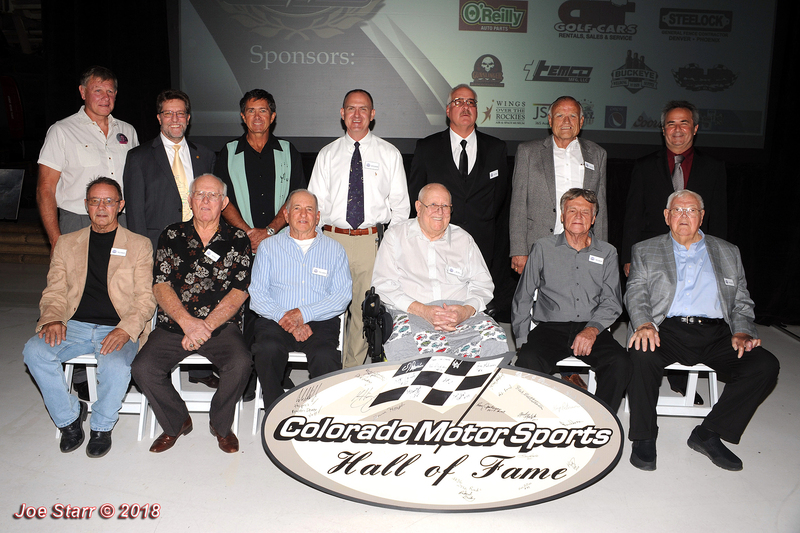 Colorado Motorsports Hall of Fame, Class of 2018 Induction Ceremony was held on Friday, October 5, 2018 at Wings Over the Rockies Air and Space Museum in east Denver. 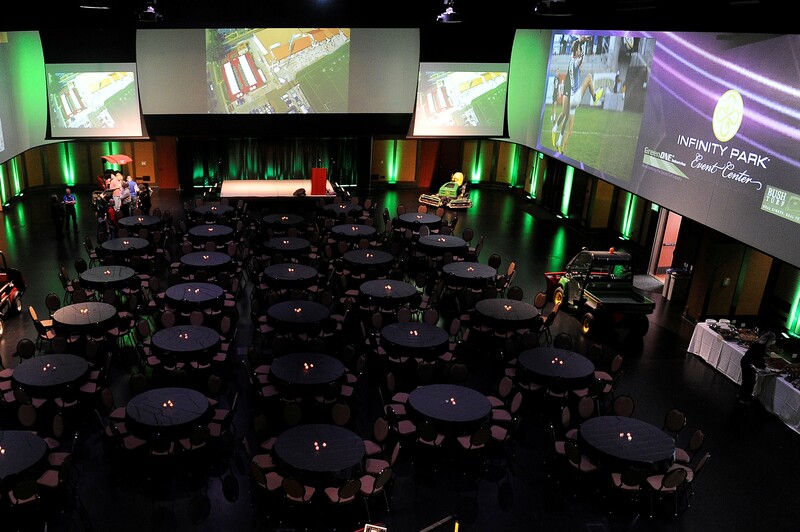 More than 400 guests attended the event to show their support of motorsports within Colorado and the Inductees being honored that night. A variety of beverages sponsored by Coors and Pepsi were available, and a sumptuous buffet of beef and chicken with all the sides and fixings were enjoyed by those in attendance. 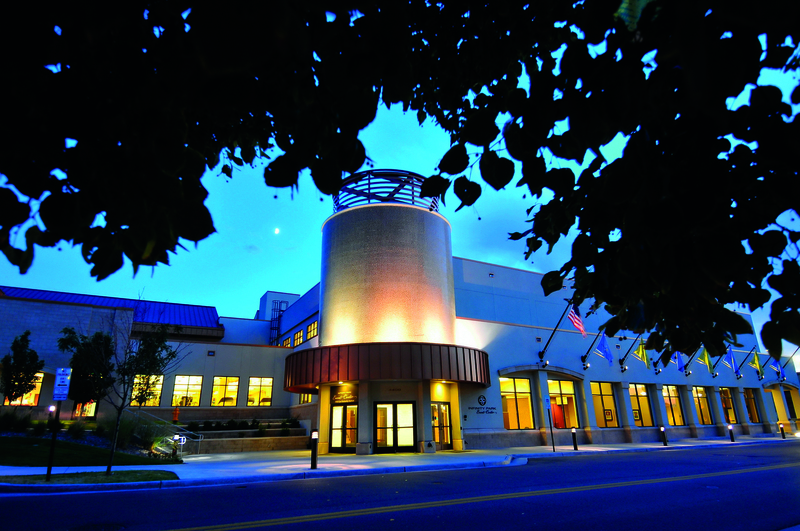 The Silent Auction and live auction of the John Pugh Original Art raised more than $4,500 for the Injured Racer’s Fund. Three scholarship award recipients were announced. representing Emily Griffith Technical College, Arapahoe Community College, and Pickens Technical School. Susan Rice contributed funds toward the scholarships for ACC and Pickens under the auspices of the Bill Rice Memorial Scholarship Fund. Inductees signed autographed prints of the John Pugh Art, and met with guests in the “Meet The Legends” autograph area at the conclusion of the event. 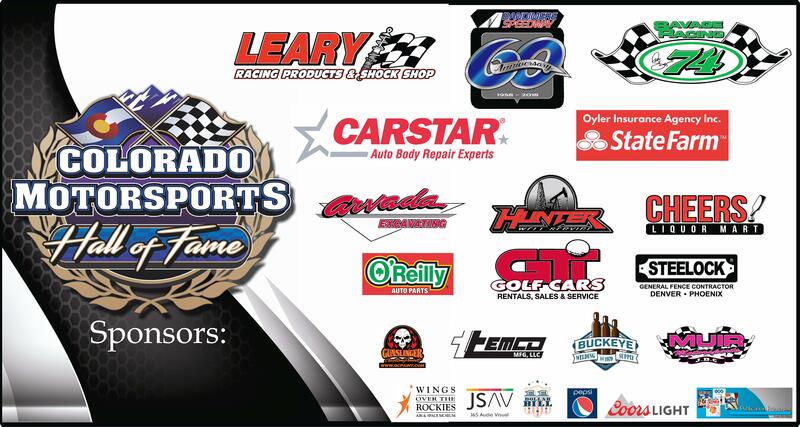 The CMHOF is grateful to those who made monetary donations to the Injured Racer’s Fund and Scholarship Programs, and the generosity and support of our 2018-2019 Sponsors. Please visit them on our Sponsor Page.